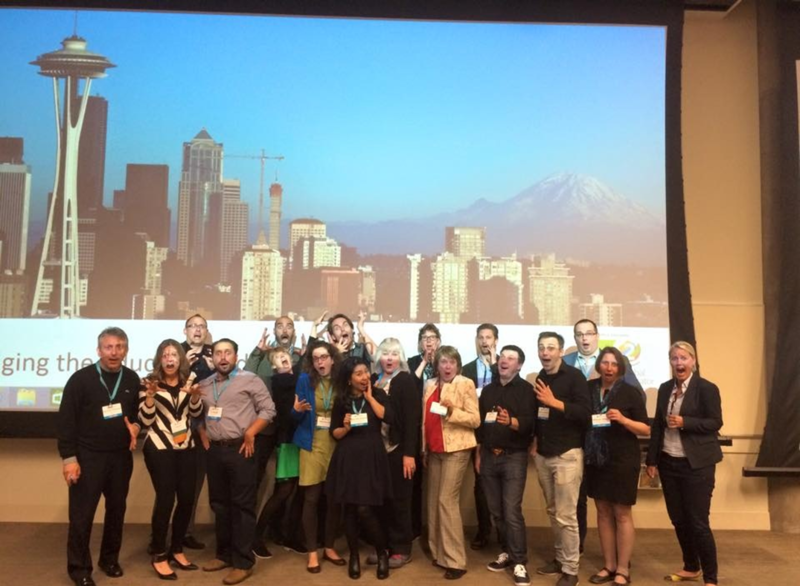 During the E2 conference in Redmond (April 15), all MIE fellows were scheduled for a “Kakuma” session. The fellows were intrigued– was this a new secret tool? Or maybe a team building activity? A tour of the campus? No, it was Kirsten Panton who initiated a session which touched many of us. We had a skype call with Moses, an outreach assistant at Kakuma Refugee Camp in Kenya. This camp has been housing 179.000 refugees for over 20 years. During the skype call, Moses asked us to offer educational help. Back home the fellows decided to make a difference in the lives of these refugee children, by increasing the level of education. Kurt (Austria) created a OneNote document which allowed us to gather some documentation about Kakuma and to plan a project. 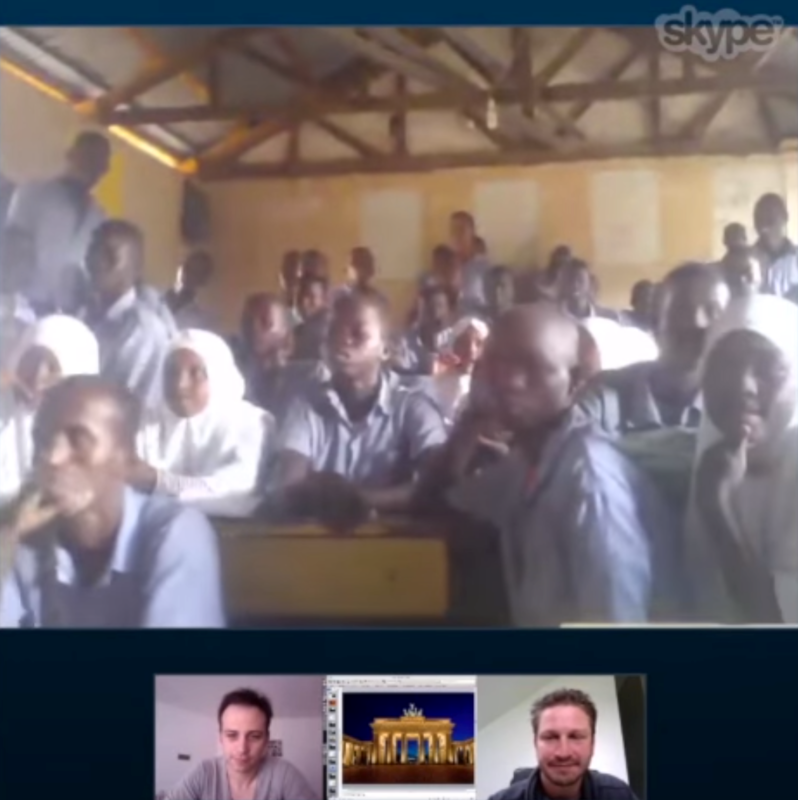 During a first spontaneous Skype call, Koen (Belgium) taught the Kakuma teachers how to install and use Skype. On the other hand Ovi’s (Spain) students got the chance to ask questions to the African teachers, which made a profound impression. After this call, it became clear that the students of Kakuma have very few resources. One class houses 150 to 200 students. 10 students share 1 textbook, and there are insufficient desks and chairs. Obviously, no technology exists in the classrooms. After learning more about the Kakuma teachers and students, the group decided to take a further step and set up a crowdfunding project to gather funds. These donations hopefully will enable buying textbooks and shipping refurbished computers to Kakuma. Using Skype, the fellows were able to chat with the Kakuma teachers and bring some structure to the lessons. The Kenyan curriculum needed to be matched with relevant subjects. Pernille (Denmark) taught the students about the water cycles, Koen about geography, and João (Portugal) taught about art and music. Last but not least, Jerker (Sweden) and Paula (Finland) co-taught geography. We agreed that Powerpoint was the most appropriate tool to enhance learning during these remote sessions. Some impressions: http://projectkakuma.com/teaching-skype.html. Meanwhile, our project made the Belgian and Portugese newspaper and soon will be broadcast on national television. As most of us are working on a Surface, we experience the benefits of the Pro Pen while we are brainstorming. Ovi created a blog in Sway, which presents our actions and outcomes: https://sway.com/U0hgvPYG8gW7RbB3. As a native speaker, Kelli (United States) proofread all texts. What’s next? Our aim is to get the Kakuma education on digital rails. Once they have a better internet connection and more devices we can create dynamic eBooks via apps like Chekhov Story Creator, create lessons for the teachers and students with Office Mix, make a shift to Skype for Business, create digital courseware via OneNote, and use other Office 365 tools. Using Microsoft technology, the fellows were able to create, collaborate, present, and share to make a difference in the Kakuma education. Special thanks to Kirsten Panton and Lena Pedersen for their continuous support during this process. What’s next? As of August 1st David Muya will be the program manager in charge of technology in education in Kakuma camp with UNHCR. David is an MIE who attended a lot of Microsoft in Education Global Forums and will be in close collaboration with the fellows and so the circle is complete. Ovi Barceló (Spain – @ovibarcelo) is an IT coordinator and teacher who is a Office365 specialist. Barry Corrigan (Northern Ireland – @mrmalcontent) is a primary school teacher and a specialist in Chekhov Story Creator. Vassilis Economou is a Greek teacher. Kelli Etheredge (USA – @ketheredge) is director of teaching and learning and works with teachers on replacing traditional textbooks with teacher curated/created content in OneNote and OfficeMix. Becky Keene (USA @beckykeene) is a teacher. Tatjana Krilliuviené is a Lithuanian teacher. Jerker Porat (Sweden – @highonlion) is a ICT coordinator, secondary grade teacher in Maths, Science and Physical Education and is a general Microsoft in Education specialist. Tô Thuỵ Diễm Quyên (Vietnam – @to_diem) is a National Education Development expert who is an active learning techniques trainer specialist. João Carlos Ramalheiro (Portugal – @INSIGNIOLabs) is director of INSIGNIOlabs and creates educational Windows apps. Pernille Reenberg (Danmark – @p_reenberg) is an IT coordinator and teacher. Kurt Söser (Austria – @kurtsoeser) is a math teacher who breathes OneNote and Geogebra. Koen Timmers (Belgium – @zelfstudie) is a computer science teacher who is passionate about distance learning and can answer any question about Skype for business. Paula Vorne (Finland – @paulavorne) is a primary school teacher. This entry was posted in Information, People, Social media and tagged Belgium, koen timmers, projectkakuma. Bookmark the permalink. Wow! What an emotional and innovative step you have taken by visiting Kakuma refugee camp. Its true that the only tool that can be used to fight poverty is education. That’s the way to go. You being there will inspire and unearth those children hidden talents that will be exposed and blossom very soon. Galatians 6:9 Let us not grow weary of doing good things for in due course we will reap the fruit if we do not loose heart” Well done Koen, Becky and the rest of the team. You rock guys! Cheers!